Punjab Govt Announces ‘Women on Wheels: Motorbike Subsidy Scheme’. Punjab Government has announced the Women on Wheels: Motorbike Subsidy Scheme, in an effort to empower the female section of the province. The ‘Women on Wheels: Motorbike Subsidy Scheme’ has been launched by the Chief Minister’s Strategic Reforms Unit (SRU), to provide customised motorbikes at subsidised rates to women. The programme is Phase II of Women-on-Wheels project and commenced with the partnership of transport department and Bank of Punjab. Under the ‘Women on Wheels: Motorbike Subsidy Scheme’ above 3,000 motorbikes will be distributed among women of Punjab at subsidised rates. Women will be given motorbikes via a 100 percent transparent balloting process. This programme has been designed following Punjab CM Shehbaz Sharif’s promise to empower women in the province. First introduced in 2015 by SRU City Traffic Police and district governments, the Women-on-Wheels programme aims to empower women by providing bike riding training free of cost. This campaign is accessible in Lahore, Multan, Faisalabad, Rawalpindi and Sargodha where more than 3,000 women have been trained so far and further contestants are being trained. Interested candidates can apply for the Women on Wheels: Motorbike Subsidy Scheme programme starting from 22nd January to 25th February 2018. Women aged between 18-40 are eligible to participate. Candidates must have valid learner’s licence or actual licence to avail subsidised motorcycles scheme. Candidates need essential documents including CNIC, passport-sized photograph,Punjab domicile certificate, Secondary School/Matriculation Certificate. If the candidate is a student, she must need an affidavit stating that maximum income does not exceed Rs30,000 along with Rs3000 non-refundable application fee required to submit to BoP branches. 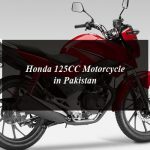 Punjab government will be providing equity subsidy of Rs24,975 and 100 percent markup on the motorcycle. Candidates need to make down payment worth of Rs27,000 and payment in 12 easy installments of Rs1,856 monthly. Candidates interested in motorcycle riding training can visit any of SRU & Punjab Traffic Police training centres.